Shipping was fast but the tire was a little old (1yr 7mos) & not boxed; syran wrapped. Hoping for more mileage out of this rear tire; the last one was the same model and only got 4900 miles before no center rib was left. Going to keep the pressure about 5 lb lower than the max. 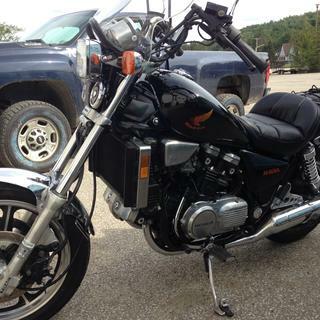 It was on my Vulcan 900 and never ridden two up or at high speeds. They are good handling tires and shed water very well but very low mileage. Kawasaki recommends much lower pressure than the max of the tire so hopefully it will improve. For the price it may be worth it especially if you're not paying for the mounting and balancing but if you're paying $85 to have it put on it is not recommended-go for more expensive higher mileage tire and you'll actually save money. Great tire, great price, get a dang tire. Tire tire holds air and does what its supposed to!!! That should be enough words now. Thank you!! 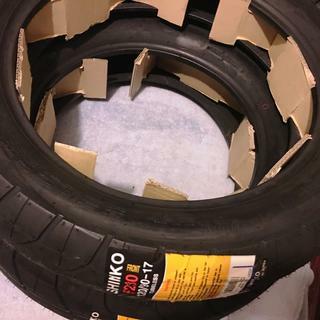 Shrinko.Good tire and grabs the road really well. Great value and performance so far. Needed to replace old bowling balls that came on the bike when I bought it. Wasn’t looking for a track day capable tire. These handle well, balanced well, and did great in the wet having got caught in an absolute downpour riding home from work last week. Handles well and seems to be of good quality. Would definitely recommend. This is a good tire. this will be my third for a total of just over 33k miles. I wish they lasted a bit longer but for the price I wont complain... much. Typically I get around 10k out of them..
Tire came warped out of package , so I get some wobble when I ride , but you get what you paid for. 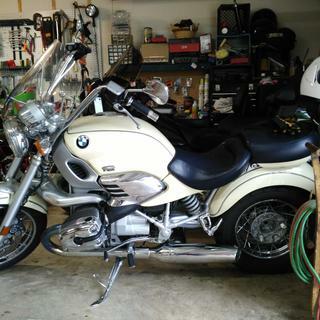 Great tire...motorcycle runs like a new bike. Handles great. Smooth on turns. The price is absolutely great! I bought same Shinko Tour 230 for my back tire as well. Haven't found anything as good so far for the price. Possibly the best tire I have ever used!! I installed on the rear of my magna. Balanced using beads. Let me just say the difference is night and day over the Dunlop 404!!! Much smoother ride as well as in and out of corners. Well worth the price, which by comparison isnt much. I will be installing the matching front tire later this year!!! Not too bad for a bike over 30 years old!! Replaced a Bridgestone Spitfire with this Shinko. Easy to mount, great tread depth. Working great so far. Would highly recommend this to friends. Based on my past OEM tires, Shinko is just as good for a lot less cost and equally durable.Love them. On the suggestion from my fellow riders, I decided to purchase a set of Shinko 230 Tour Masters for my Honda Shadow 750 ACE. Rocky Mountain ATV & MC came through for me in a big way by quickly responding to an email regarding availability of the tires, and then having them at my doorstep in two days. The Tour Masters look great and outperform the 404's by a long shot. I'm extremely happy with my tires and Rocky Mountain's attention to customer service will keep me coming back. Fast shipping. Waiting on wearing out my existing tires before installing. Got exactly what was ordered extremely fast!!! This has been a quality tire and I've bought second after I've worn the first one out. It's got good grip and handles quite well. A good tire for the price!! LOW PRICE GREAT MILEAGE TIRE!! 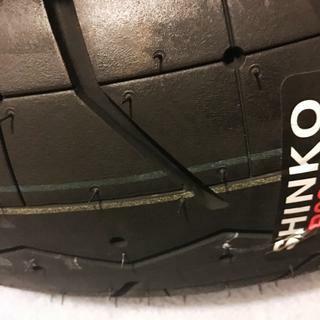 THIS IS MY 2ND SHINKO REAR TIRE.I ALSO AM RUNNING THE MATCHING FRONT. NEW THIS TIRE HAS 11mm THREAD DEPTH.WE WENT ON A TRIP RIDING DOUBLE AND LOADED DOWN ON OUR BMW R1200CL.PUT A LITTLE UNDER 2000 MILES ON THE THREAD DEPTH AFTER THE TRIP WAS 6.5mm THE OTHER REAR SHINKO I TOOK OFF STILL HAD 4.5mm LEFT WHICH I WILL PUT BACK ON LATER. THE FRONT LOOKS LIKE IT WILL LAST 2-3 REARS WHICH SHOULD GO 6-7 THOUSAND MILES EASY.GREAT RIDE AND ROAD HOLDING TIRES AND NOTHIN BEATS THE PRICE. EVERY OTHER TIRE AVALIABLE FOR THE BMW IN ABOUT TRIPLE IN PRICE! AND NOT MILEAGE.GREAT TIRES AT A GREAT PRICE.!! I put both front and rear tires on at the same time. They both went on and balanced without any problems. Maybe just a bit too much release compound from the factory but what didn't wipe off with some cleaner and a rag soon wore off riding. My riding is cruiser style, both long and short trips at highway speeds on mountain roads with lots of curves and two loaded saddle bags. These tires work as good as other brands I've used that cost more than twice as much. They wear the same and I have noticed no difference in the grip other than the excessive amount of release oil when they are new. (Wipe them down before riding). The tread pattern both looks good and performs well on wet roads. I will buy these tires again from Rockymountain. 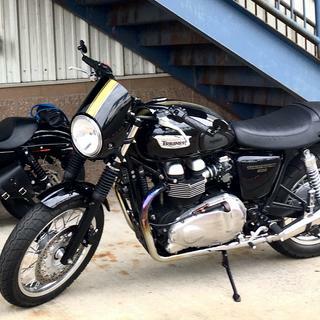 Purchased this tire for a CB900 Custom. Easy installation. Sticky rubber handles the road very well. Aggressive and modern tread design. High speed test performed @ 80 mph revealed no shimmy or vibration. Mounted with the balance dot on the valve stem and performed a static balance test which required no balance weights. I will buy this tire again instead of the higher priced brands. I looked everywhere and this tire was by far the best price I found on the net. The tire arrived today and I was very pleased to see the grip.These are big tires and normally 3 times the price. Will this "tubeless" tire run with a tube ? I have a tour master tire on the front , (marked as tubeless) and it accepted a tube with no problems . BEST ANSWER: Most all tubeless tires can run with a tube. However, it is a known fact that tubeless tires with tubes installed tend to run hotter than without the tube. Counting all the Shinko tires I've purchased over the years, I've never seen a reason to run a tube in one. Most tire failures on motorcycles are from punctures, and that type of failure will affect the tube just about as much as without a tube. If you have a tire repair kit with plugs, that will at least get you to the repair shop to change out tire or patch your tube. At least a patch on the tube is a lot cheaper than a new tire. I have always heard you can put a tube in any tire. You just can't run a tube type without a tube. Yes. A tubeless tire just means you can run it without a tube on a nonspoke wheel. 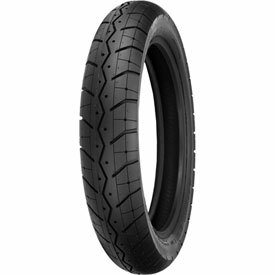 Will this tire fit on a 2000 suzuki intruder 1500? BEST ANSWER: I purchased this tire I had to get slightly larger in diameter because it didn't have the OEM size, You have to make sure you have the fender clearance, I was lucky but you can't beat the value or the mileage, This was my second tire of the same size.I had a Honda Magna and the tire Handled great. Shipping cost to 28105 please? BEST ANSWER: If you are in the upper 48 states and your order is over $75 you will get free 3 day shipping. If your order is below $75 then the shipping is a flat rate of $7 for standard shipping.